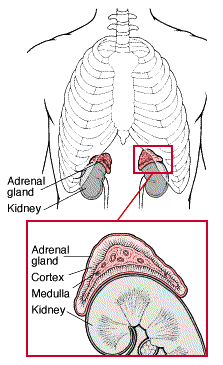 Hi, I have been diagnosed with probable cyclical adrenal cushings. This all started after a scan on my abdomen for something unrelated revealed bilateral adrenal adenomas. When I googled adrenal adenoma everything fitted into place. I had been depressed , put weight on which were my main symptoms along with anxiety. 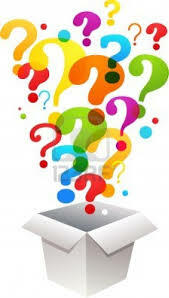 I was then referred to an endocrinologist in the UK who ordered some initial tests. I did Two 24hr UFC’s on consecutive days one came back at 36 and the one the day after was 91(normal below 50. Another time the normal range was 165 and the 1st one was 108 and the one the day after was 393. I then did an overnight dexamethasone test and suppressed below 50 to 48. My endocrinologist then said he didn’t think I had cushings and said come back in six months and said it might be due to stress. I then got a second opinion and then the real testing started. Roll forward four years and I have done about 30 – 24hr UFC’s numerous ACTH and full blood counts. renin and aldersterone, metoclopramide test, glucagon test, vassopression test, oral glucose stimultation test, day curve cortisol, spent a day in hospital walking round the ward for two hours, then eating a mixed meal and then sitting down for two hours while they tested my cortisol every hour . Did a Low Dose Dexamethasone Test and came out in a rash and my blood pressure dropped so got told I can’t do the test again. Had a bone density scan. I hIad a pituitary scan that revealed a lump inside my tongue and then had to have a whole body scan followed by a tongue biopsy(which turned out to be benign. 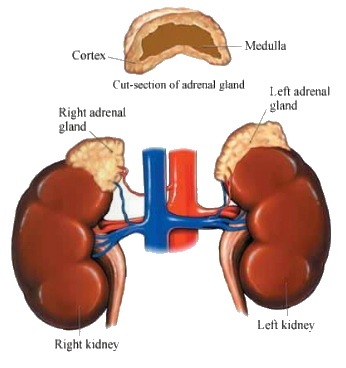 I have had about five CT scans on my adrenal glands and was referred to an endocrine surgeon this week who is going to perform a right adrenalectomy. The right one is 4cm in diameter. He said looking at the scan he thinks it looks like macro nodular adrenal hyperplasia but wont know till pathology get to examine the specimen. It’s been a long, long journey but finally looks like it’s coming to a conclusion now. Stacey is a good friend of mine who has had pituitary surgery for her Cushing’s Disease. 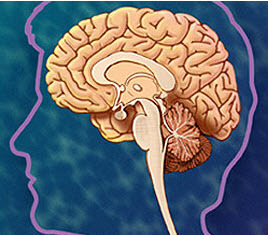 She spoke recently at the Johns Hopkins Pituitary Day event. This week’s ‘Inspirational Moments with Mikea’ features Stacey Hardy. A rare disease kept the mother of one out of full-time work for nearly five years. Hardy turned to a local non-profit, The Training Source, to help her get back on her feet. Diagnosed with Cushings while in the Navy, in pursuit of Navy SEAL. – Had the drill through the face surgery. – Still going strong and always looking for the next challenge. Destituts Ventis Remus Adhibe (sign I put up in my hospital room during the whole Cushings adventure, means: If the Wind fails to serve, take to the Oars). – Ive been there, Ive done it. Its all a matter of staring down the nightmare and showing more determination and resolve than it has. Cushings is a wimp. Ok yeah it sucked, but I owned it. Seriously though, all joking aside, if there is anything I can say or do for anyone going through it all, let me know. Self diagnosed after 6 years of cushings & UK doctors who dismissed me as depressed & unluckily unhealthy. 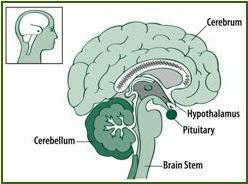 12mm macroadenoma & pituitary gland completely removed in London National Neuro Hospital in Jan 2012. Still going through rehabilitation from cushings & surgery damage. Finally on complete hormone replacement 20 months later (6/7 drugs) had to fight for some (some legitimate & some ludicrous reasons), still facing uninformed doctors & so called ‘specialists’ every week, who misdiagnose conditions or make wrong assumptions, so am now well studied in general medicine & endocrinology myself, particularly with the post illness complications & resulting conditions from cushings damage & pituitary loss. This helps keep an eye on things albeit tiring studying while sick. I was dignosed with Cushing’s in April 2013 i had surgery in June 2013 to remove a tumor on my pituitary gland. I have had some ups and downs with joint and muscle pains and emotional issues.After my 8 week check up they decreased my meds down but my levels were not normal at that time yet. I just recently had my blood checked again and my levels were really high in the normal range so they advised me that I could stop taking my meds all together which they say is a great thing. I had been having some of the same issues and symptoms as when i first went to doctor that started coming up this is why i asked for blood test in first place and they are stating with meds and my own levels i am once again overproducing makes sense. However i am not feeling well at all severe muscle pains in knees and feel like i need a crane to get out of bed from being so stiff everyday. I feel like i am once again an emotional wreck and have issues and nobobdy seem to understand this terrible disease and what it does to your body and one’s self. I have been married 23 yrs and have 2 beautiful daughters. I gained over 45 pounds with all this I am down about 20 so far still have a ways to go for sure. I really need some support with dealing with all this they say about 6-18 months to truly recover from this and feel so alone sometimes.